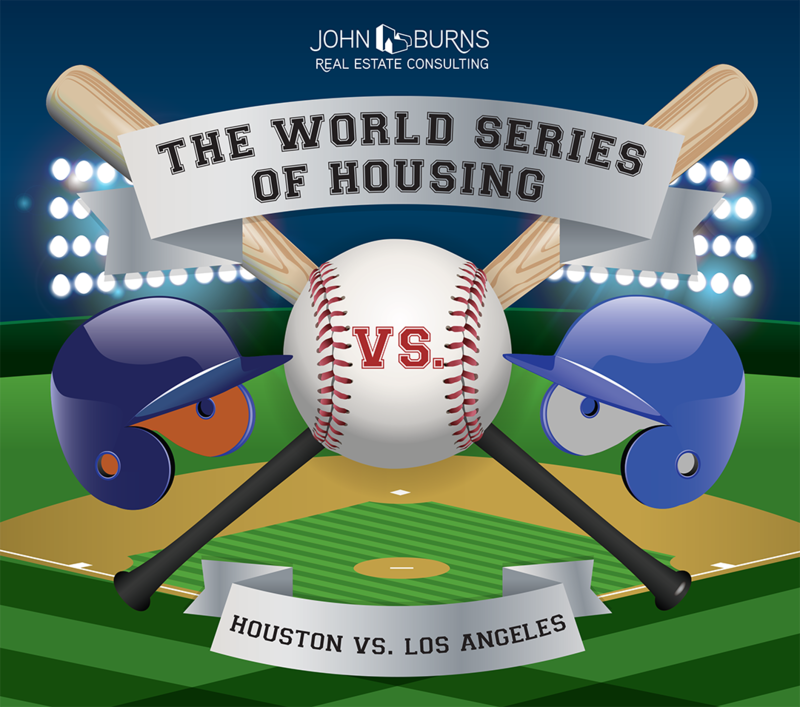 With Houston and Los Angeles squaring off to see who has the better baseball team, we thought it would be fun to compare these two massive housing markets. To do so, I turned to our monthly Metro Analysis and Forecast reports, where we compare Los Angeles County to the nine counties in Houston. The series looks like it will come down to Game 7, as I identified 3 categories where Houston wins, and 3 where Los Angeles wins. Population growth. Houston crushes LA in the growth category. 25% more people live in Houston today than 10 years ago, compared to only 5% more living in Los Angeles. How has Houston accommodated 1.36 million new residents in only 10 years! Affordability. Houston also crushes LA when it comes to housing affordability. The median resale price in Houston is only $232,000, compared to $605,000 in LA. The median rent for an institutional quality apartment in Houston costs only $901 per month, compared to $1,797 in LA. Houston housing costs half of what it costs in LA! Construction. We expect Houston to issue 44,500 building permits (including apartments) this year, more than double that issued in Los Angeles, and that does not include remodeling permits after Hurricane Harvey. Home builders own 971 actively selling new home communities in Houston, compared to only 84 in Los Angeles—more than 11 times as many subdivisions! Size. More than 10.1 million people now call LA home, compared to 6.9 million in Houston. Even if growth trends remain the same, Los Angeles should be larger for at least another 20 years. With Dodger Stadium holding only one seat for every 181 residents, I expect that tickets will be quite expensive! Income. The typical LA household earns $64K per year, beating Houston by $3K. While that extra income will make it a bit easier to afford a ticket, the lowest-priced ticket I can find on the Internet right now is $795! Income growth. Not only do LA households earn more, but their incomes have grown an average of 1.5% per year over the last decade, compared to only 1.2% in Houston. 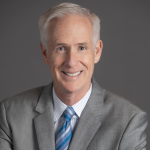 While Houston has been attracting many higher-paid jobs, Los Angeles employers feel the pressure to pay their people more due to the rapidly rising cost of living. With LA’s unemployment rate at a paltry 5.4% (similar to the 5.2% in Houston), we expect income growth to be strong over the next year. Who will win? The affordable, growing market? Or the larger, more affluent market? Play ball!